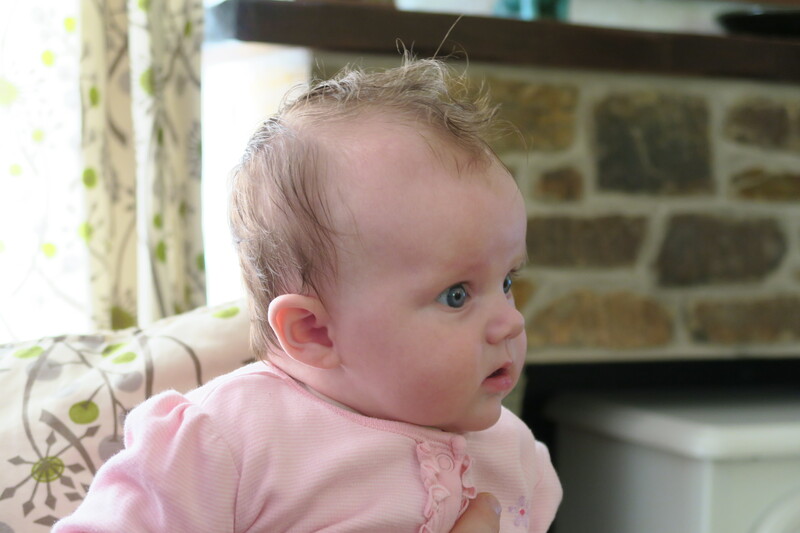 Finally I’m getting around to blogging about our week in Cornwall – Elsie’s very first holiday! With everything thats happened since it feels like a lifetime ago! 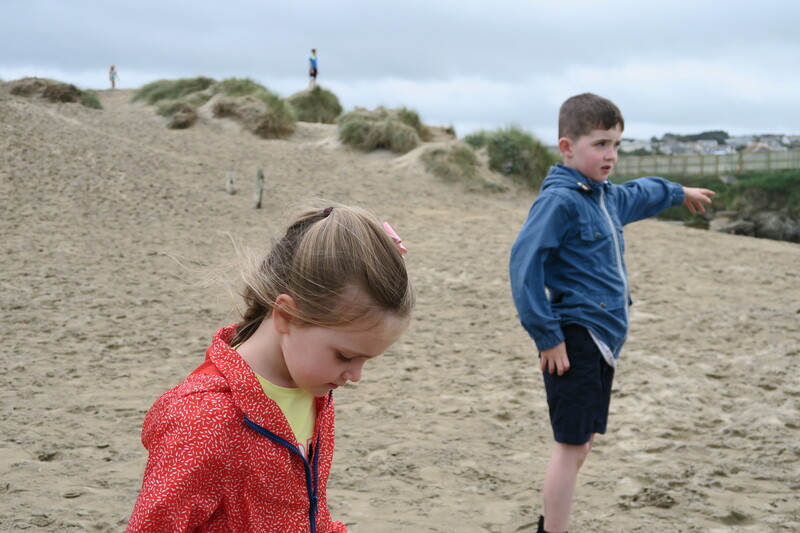 I won’t go in to detail about what we did everyday as it’s all a bit of a blur now but we did spend a large amount of time at the beach or exploring all the cute cornish towns nearby. The weather, after the first day, was glorious and we certainly made the most of it. We stayed just outside the village of Goonhavern near Perranporth in a rented apartment which we found on Google through a lettings agency. The apartment was set in a converted farmhouse on a small holding surrounding by fields. 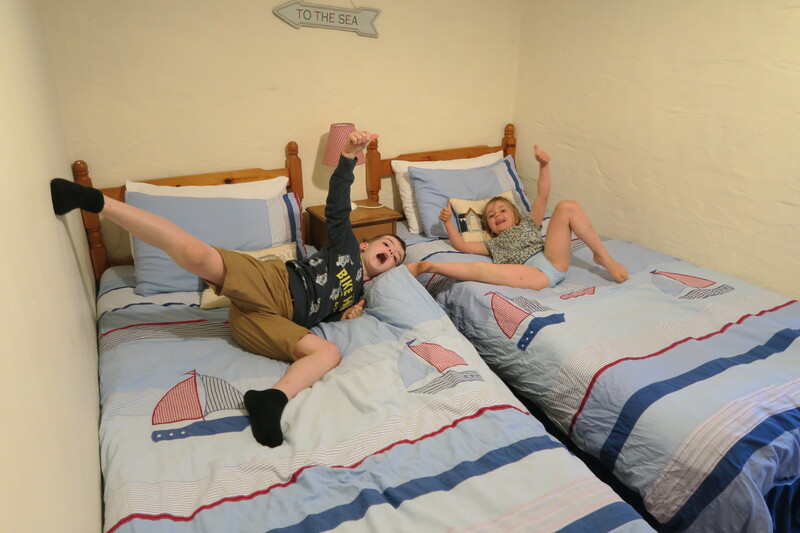 The main reason for choosing the accommodation was the location; we knew we wanted to base our holiday around Perranporth as we just love the beach and the town – it’s so typically British seaside! The other factor when choosing the accommodation was the proximity to the local village pub, which we have visited before and loved. However, the details online failed to mention that although it’s less than a mile walk to the pub it’s not a walk you could do safely as about half of it requires walking along a pretty busy road. We set off from Gloucestershire around 2pm on Saturday 20th August and, after a stop for dinner in Taunton, arrived at our destination around 8pm. It was a long journey but we completely expected it and the kids were as good as gold! As you can imagine that night was really about unpacking and getting the kids in bed so we could enjoy the next day. The owners of the apartment had very kindly left out some homemade scones with cream and jam, a bottle of cider and a bottle of cloudy apple juice. As I mentioned above we visited some of the beautiful towns local to Perranporth including; St. Ives, Padstow, Rock and Mevagissey. We had the most amazing curry takeaway from a restaurant called Jaipur in Perranporth and also had fish and chips from a chippy called ‘Assalt and Battery’! Now you can’t visit Cornwall without trying a cornish pasty or two and we had an amazing one from the award winning Chough Bakery in Padstow. No wonder I gained a pound or two! 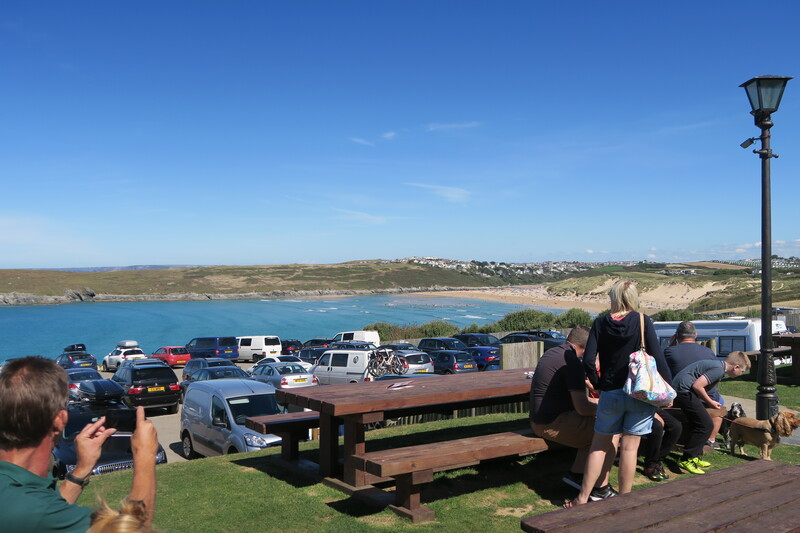 The day before we left we had a drink at The Bowgie Inn which, I’m pretty sure, has the best views of any pub I’ve ever been to – just have a look at this…. 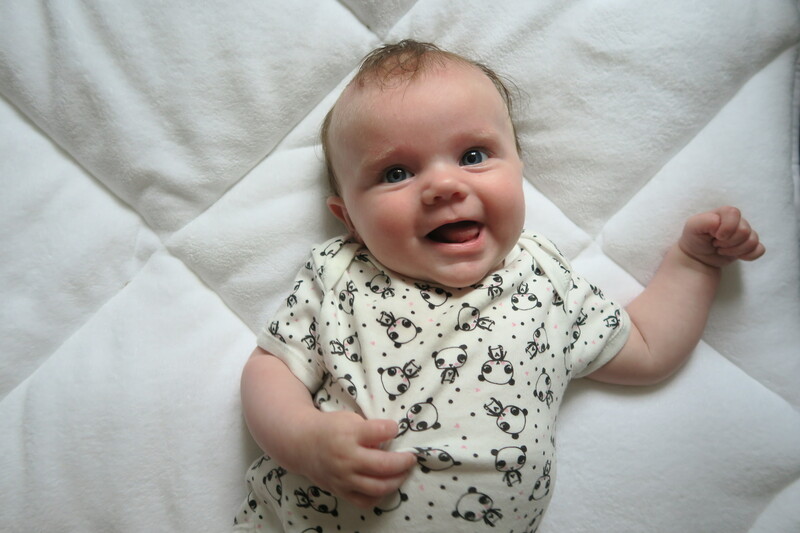 I took about a million photos so I won’t bore you with any more chatter and will share some of my favourites with you. 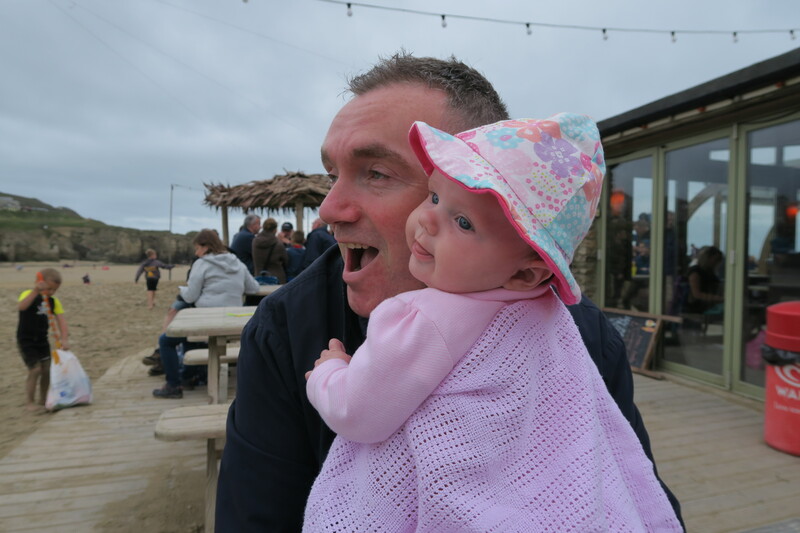 As much as Matt and I have loved all our visits to Cornwall over the past few years, I think we’ve been about 5 times, we are ready to try somewhere else. Perhaps Devon or further along the south coast. If anyone has any great suggestions pop it in the comments below as this dreary weather is making me want to book a holiday!